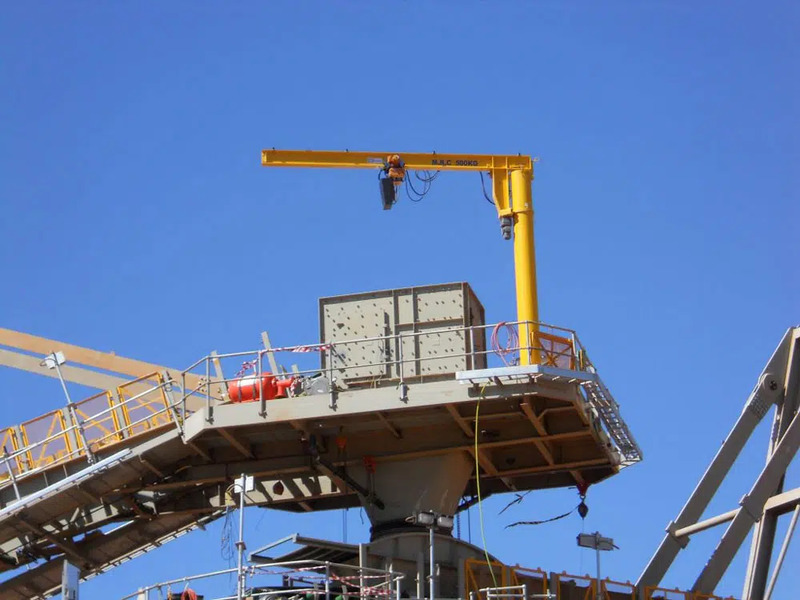 Under braced or top braced jib cranes provides cost effective way of material handling solution. 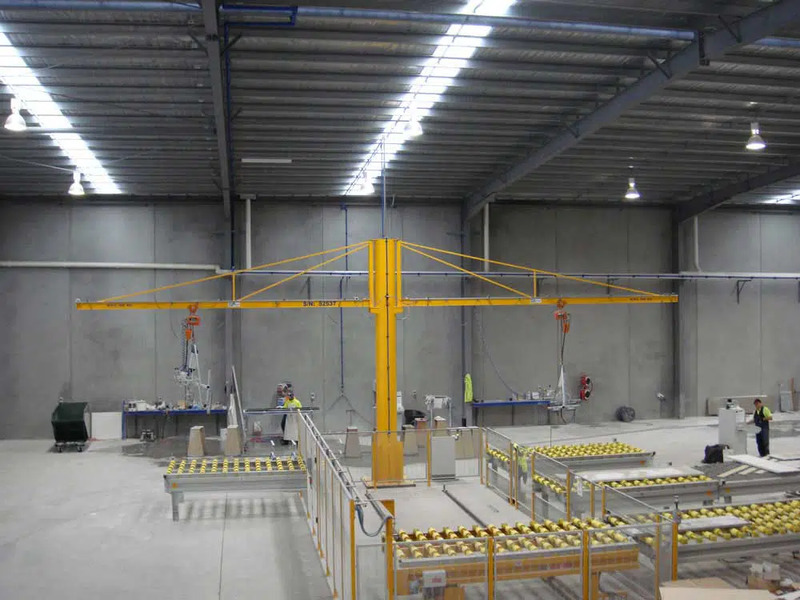 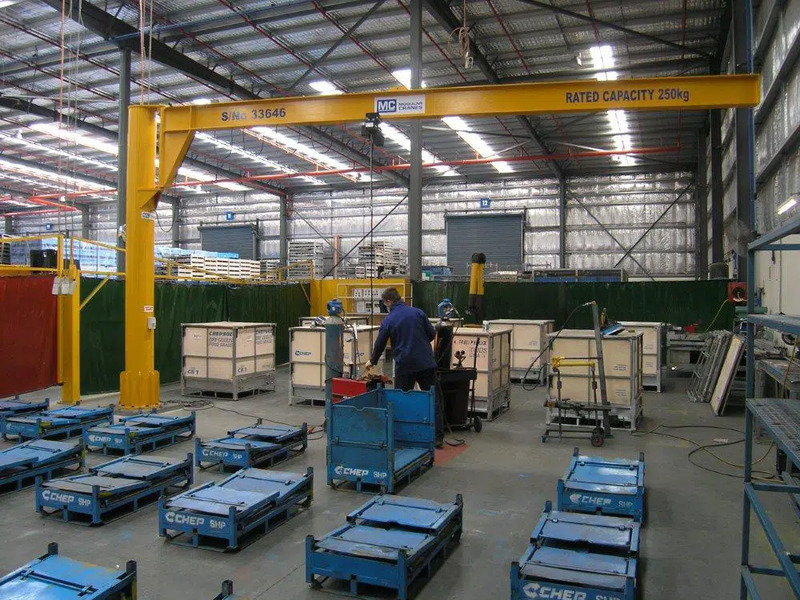 Jib cranes are space-saving, economical, solution for lifting items. 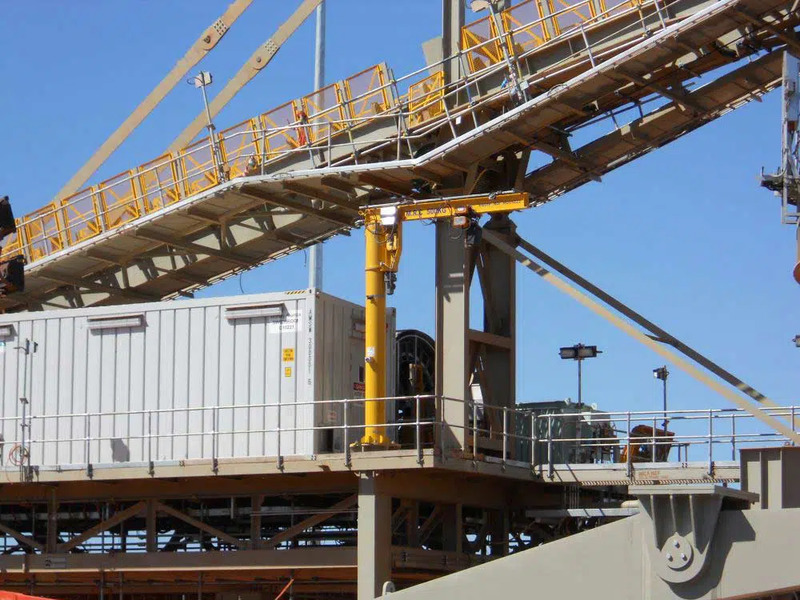 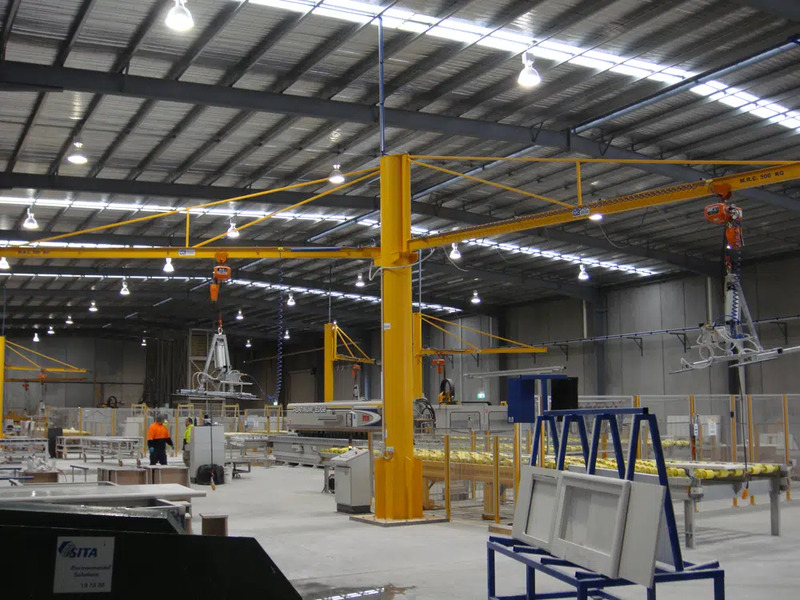 Modular cranes top braced or – or under-braced jib cranes to maximise height of lift. 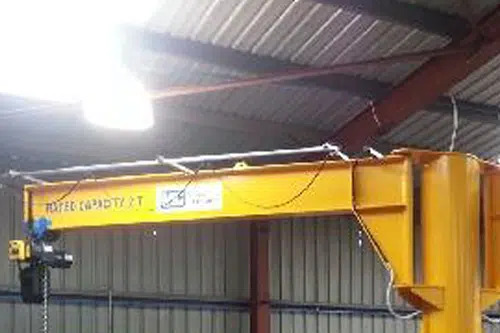 The standard jib crane design for an area with no headroom restrictions is the over braced type. 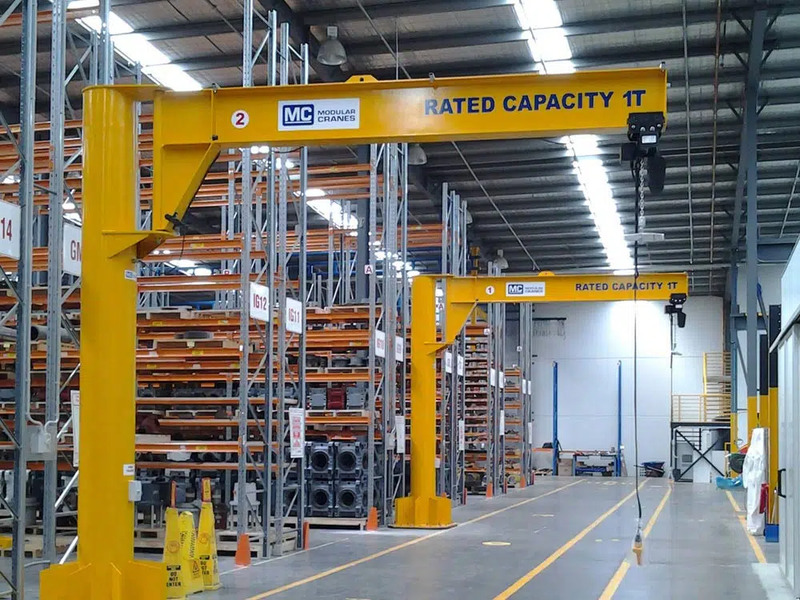 When available headroom is limited then an under braced jib crane is designed to maximum height of lift.